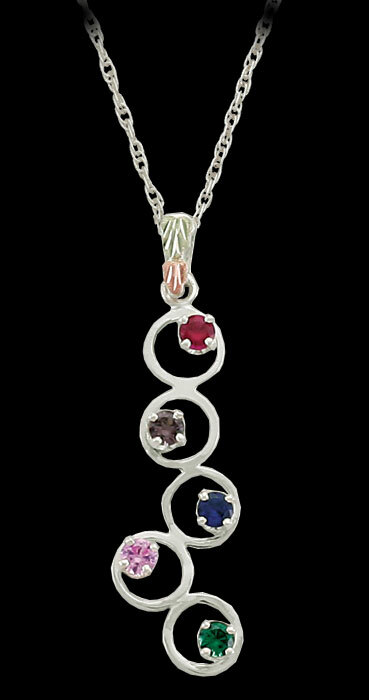 Landstrom's Sterling Silver Family Pendant is a Black Hills Gold necklace that will display 1 to 5 birthstones to represent different members of the family. Comes with a lifetime guarantee from the leader in Black Hills Gold jewelry, Landstrom's Black Hills Gold. Hand crafted to last a lifetime.